Kratovo is a small picturesque town in north-eastern part of Macedonia, and known as one of the regions "living museums". It's the seat of the Kratovo municipality. 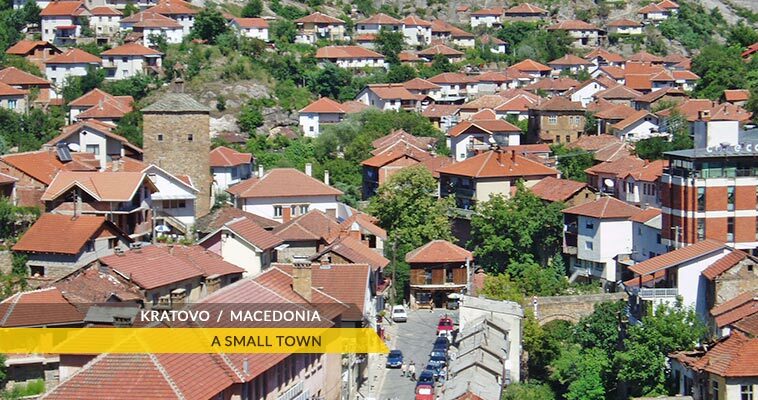 According to the 2002 census, the Kratovo had 6,924 inhabitants. Kratovo lies on the western slopes of Osogovo mountain, at an altitude of 600 metres (2,000 ft) above sea level. Having a mild and pleasant climate, it is located in the crater of an extinct volcano. Kratovo is famous for its old bridges. The main road which connects Kumanovo and Kriva Palanka is around 25-30km away (at the Stracin junction). Kratovo is 93 km away from Skopje, while from Kumanovo is 43km, Kriva Palanka 44km and Stip 52 km. Today Kratovo has many characteristics of the past times. Once there were 12 towers, but today only 6 towers have remained, which primarily served miners, chiefs and guards. 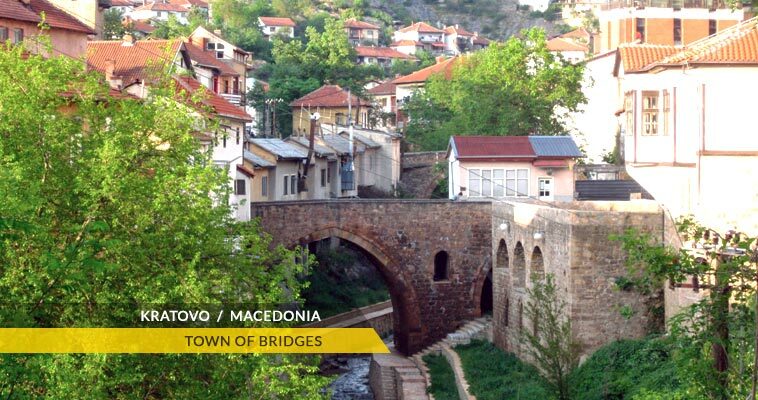 The Kratovo bridges are another characteristic of this town made by old masters. Kratovo has unique and interesting architecture from the 19th century and a unique Art gallery of children's drawings, with pictures by Kratovo children which have won numerous prices at different international exhibitions. Currently many organizations are working on rebuilding of Kratovo. The climate in Kratovo is continental.